A tempting vacation or tempting fate? That’s the debate about Australian billionaire Clive Palmer’s plans to build a new Titanic, replicating the original, to sail in 2016. USA Today spoke about the new Titanic with Julie Williams, author of A Rare Titanic Family, which chronicles the experiences of her uncle and his family on the doomed ship. Williams’s uncle Albert Caldwell, his wife Sylvia, and their ten-month-old son Alden were in the minority of families to survive the sinking of the Titanic with all family members intact. Williams believed Caldwell would have approved of the Titanic II. 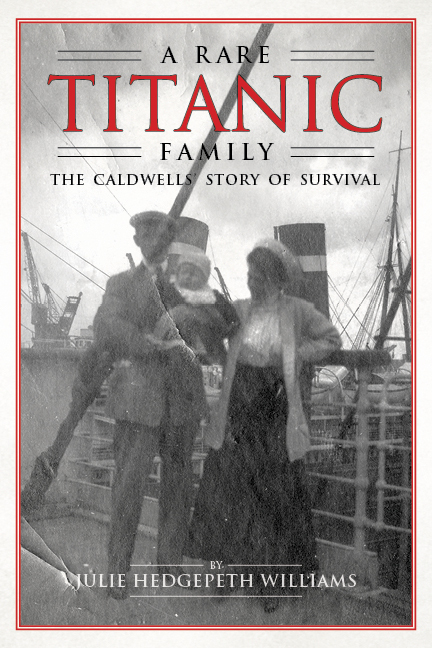 Read more about the Caldwells’ experience on the Titanic in A Rare Titanic Family: The Caldwells’ Story of Survival, as well as in the ebook Women of the Titanic Disaster, a first-hand account of the sinking of the Titanic by Sylvia Caldwell. Daniel Meador, former dean of the University of Alabama Law School and author most recently of The Transformative Years of the University of Alabama Law School: 1966-1970, died February 9 at age 86. In Transformative Years, Meador described his work to reform the University of Alabama law school, raising school standards, increasing student diversity, and creating new fundraising opportunities for the school. Meador left after four years due to disagreements with the administration, but Meador is widely credited with the school’s turnaround. According to an AL.com obituary, Meador was born in Selma, Alabama, and attended the Citadel, Auburn University, the UA law school, and Harvard. After serving in the U.S. Army in Korea, Meador clerked for Supreme Court Justice Hugo Black. He taught at the University of Virginia before his tenure at UA, and afterward until his retirement. Meador was also an Assistant Attorney General for the Justice Department from 1977-1979, and wrote nine law books and three novels. 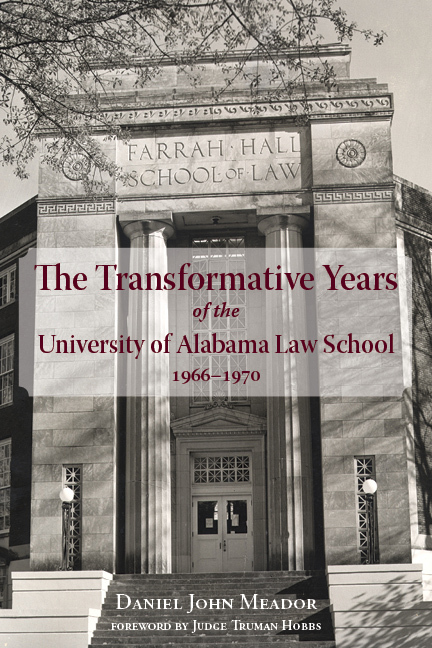 Daniel Meador’s Transformative Years of the University of Alabama Law School is available from NewSouth Books, Amazon, or your favorite bookstore. Norrell is a professor and long-time civil rights scholar, winning the Robert F. Kennedy Book Award in 1986 for his book Reaping the Whirlwind: The Civil Rights Movement in Tuskegee. In Eden Rise, progressive white college student Tom McKee returns home with a couple of black friends. They’re mistaken for Freedom Riders and fired upon, but when Tom fires back, he becomes the one facing charges. 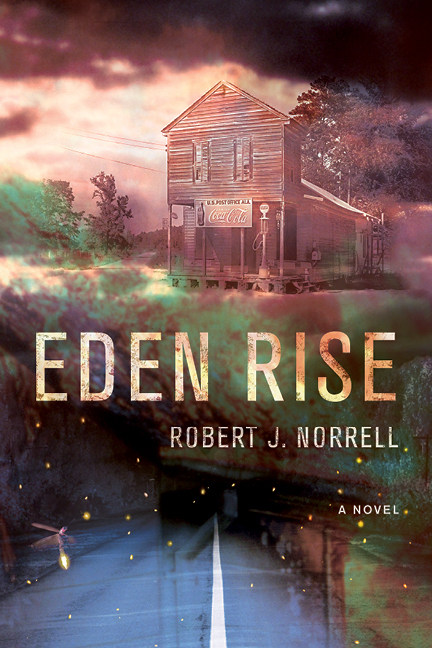 Eden Rise is his first work of fiction, based in part on Norrell’s own home town of Hazel Green in Alabama’s Black Belt. Read more about Eden Rise from the Island Packet, StarNews, Montgomery Advertiser, and Tuscaloosa News, and listen to Greg Bass speak with Robert Norrell from WBHM’s Tapestry. Eden Rise is available from NewSouth Books, Amazon, or your favorite bookstore. You are currently browsing the NewSouth Books weblog archives for February, 2013.